Marisha Pink is a rat race escapee turned author and entrepreneur. Born and raised in London, from a young age she had an unhealthy obsession with books. She always dreamed of one day writing stories with the power to take readers on a journey, but somehow she wound up studying Chemistry and working in marketing instead. In September 2012, after five years of climbing the corporate ladder, she decided that it was finally time to take the leap. Backpack in hand, she left everything behind to travel Southeast Asia and complete her debut novel, Finding Arun. She’s been on a mission not to live life by the book ever since. Eventually returning to London in February 2013, Marisha raised the finance to publish the book through crowdfunding, and joined the self-publishing revolution. 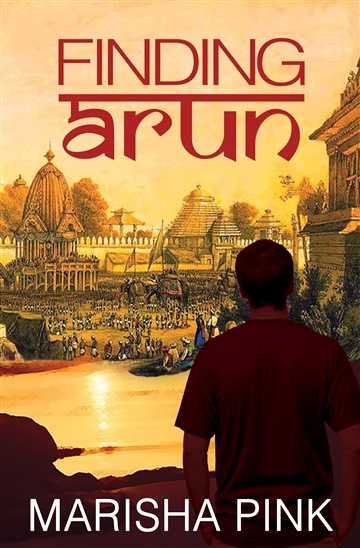 Released globally in September 2013, Finding Arun has earned a 5* Readers’ Favorite review, a B.R.A.G. Medallion, and a shortlisting for the inaugural Quagga Prize for Literary Fiction. Marisha has been featured on BBC London 94.9FM, BBC WM 95.6FM, The Literary Platform, and across several popular blogs and podcasts. Her second novel, Last Piece of Me, the prequel to Finding Arun, was published in March 2015 and is available from Amazon in paperback and ebook.